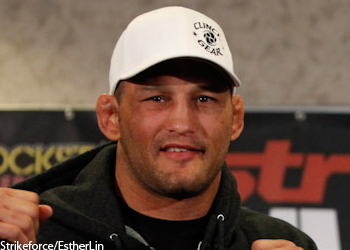 Apparently, the Gambling Gods did not like what they saw from Dan Henderson during Friday’s official weigh-ins. After tipping the scales at 204.5 pounds, the exact same tally as reigning light heavyweight king Rafael “Feijao” Cavalcante, Hendo saw his betting line inauspiciously plummet. Since their wagering odds first opened a couple of months back, Henderson had remained a steady 2-to-1 favorite to hoist the hardware this evening inside the Nationwide Arena in Columbus, Ohio. However, following yesterday’s weight competition, the former PrideFC champion has fallen off to merely a -175 odds-on favorite. The powers that be have pegged Feijao a +145 underdog against the MMA legend. The Brazilian was originally rated at +170. Feijao shouldn’t feel too badly about his long shot status. Henderson was a 4.5-to-1 favorite when he lost to then-middleweight champion Jake Shields at “Strikeforce: Nashville” in April 2010. It will be interesting to see how the money continues to move as game time approaches. Showtime will broadcast tonight’s event at 10PM ET/PT.